How do I move the lower dice first? Clicking on a piece with the left mouse button will always move the higher dice first. 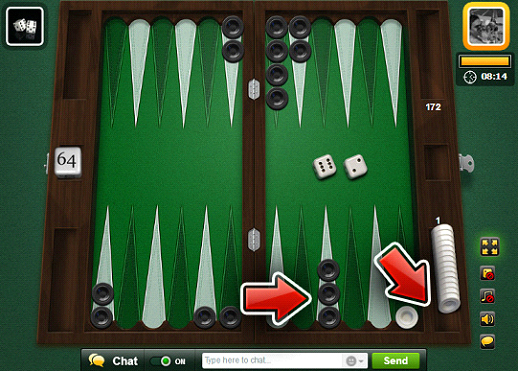 to use the lower dice first, click, hold and drag the piece to the desired place. I am trying to log in with Facebook on my iOS device and keep getting an error, how can i solve this? If you receive an error ehile logging with your Facebook account, try going to the Settings screen and then click on the Facebook option. 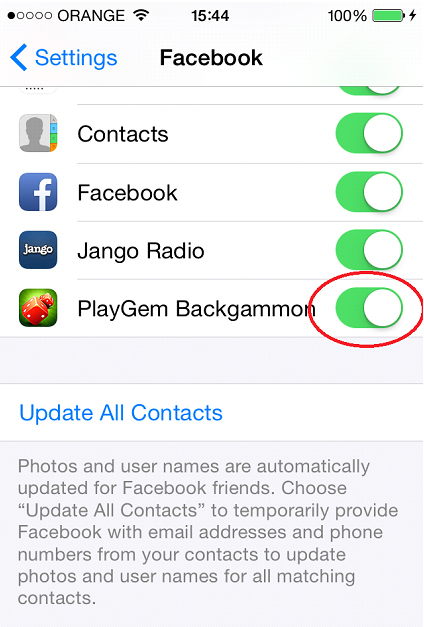 from there find our App and turn the option Off and On again (or On only if it is currently disabled). My opponent always asks me to double the game when he is about to win! This is the point of doubling! when you feel comfortable enough and it looks like you are going to win, you may ask your opponent to double the bet. You may of course do that any time during the game, even at the beginning, but remember that you may also lose as well! How can I get more free chips? * Visit our Fan Page for free chips offers. * Ask your friends to send you a gift. * Collect your special bonus. By winning a Gammon you will get Double (x2) the amount of the current bet. To win a Gammon, remove all 15 pieces off the board before your opponent manages to remove his first one. 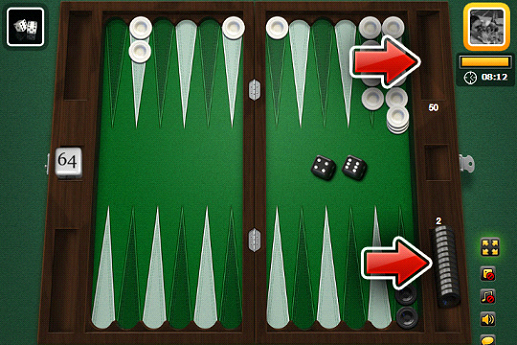 By winning a Backgammon you will get Triple (x3) the amount of the current bet. To win by Backgammon, remove all 15 pieces off the board while your opponent still has one of his pieces inside your HOME. How do i contact a support representative for assistance ? From either the Facebook, iOS or Android app simply click the "help" button and fill in the details. a representative will answer you as soon as possbile.